The last time I mentioned Breakside Brewing here was last December, when I said there were my brewery of the year for 2013. That comment was based mostly on the fact that they had created some truly amazing specialty beers to go with some terrific standards, like their IPA and Pilsner. Head brewer Ben Edmunds and his team have continued to build on that theme in 2014. The production brewery in Milwaukie has enabled them to do large batches of the popular standards, which you can find almost anywhere at reasonable prices. Meanwhile, smaller batches of seasonals and funky, barrel-aged specialty beers are showing up, too. I'll get to those shortly. Looking at OLCC numbers, and keep in mind that these are Oregon-only numbers (limited to beer made and sold here), Breakside's overall production is rising. For all of 2013, they produced 3,178 barrels. Through August of this year, they produced 3,521 barrels. If monthly trends hold, they will easily pass through 5K barrels by the end of the year. As noted, these numbers do not include out-of-state sales, which are increasing. Of course, rising production numbers suggest a strong following. 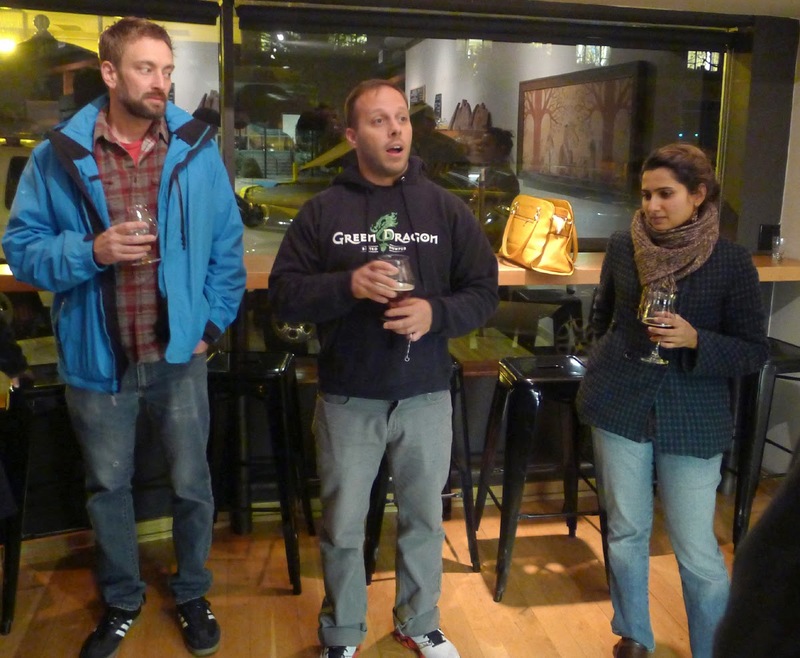 Breakside bumped up the buzz in that area by winning two medals at the 2014 GABF. Breakside IPA took gold in the American Style IPA category and Wanderlust IPA won bronze for American Strong Pale Ale. Lots of good news at Breakside. An experimental ale that combines a mildly tart base with a tasty and aromatic blend of tropical, fruity hops. Notes of grapefruit and lemongrass are present. This is a fantastic beer. No wonder it's one of Breakside's most popular small batch beers of the year. It will be available on draft and in bombers. The Portland release party happens tonight (11/20) at Beermongers, where they will have a flock of Breakside beers on tap. This is essentially an Imperial Red IPA and has enough backbone to offer a nice alternative to standard winter beers. But it's the aroma and flavor provided by Simcoe and Amarillo hops that make this beer special, with notes of pine resin and grapefruit. Imperial Red is so smooth you won't even notice the added alcohol, so watch it. This is a draft only release and you'll find it at Breakside and select locations. It's disappearing quickly, so get it now. A wheaten saison conditioned on Gewurztraminer grapes and a blend of wild yeast and bacteria that includes three strains of Brettanomyces and Lactobacillus. I tasted this beer, along with Imperial Red and La Tormenta, at a Tuesday night media event. It is excellent. Country Blonde will be available only in bottles probably limited to Breakside locations. Getting a chance to taste older vintages of specialty beers, particularly flights, is great fun. You get to appreciate how beers have aged and evaluate sometimes quirky flavor profiles. This type of tasting has become increasingly popular in recent times. To address that demand, Breakside is launching Rare and Vintage Beer Library Flights at their Milwaukie location starting Dec. 5. Flights will be 5 oz pours (three for $9 or $3 each). Choices will vary and only include beers not available on draft. The Library Flights program will be run Friday through Sunday. Check Breakside's social media feeds for weekly updates on beers. Once again, Breakside is setting a high standard for great beer and business smarts. They obviously aren't the only ones doing good work here, but it seems to me things are looking especially bright at Breakside. Watered Down Beer in Seattle?